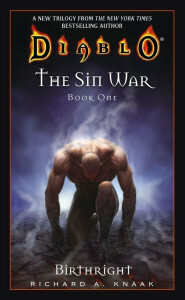 Blizzard Entertainment and Gallery Books will launch the Diablo: The Sin War Archive on December 27, 2011. This 784-pages trade paperback compiles the three books in the trilogy by New York Times Best Selling Author Richard A. Knaak: Birthright, Scales of the Serpent, and The Veiled Prophet. For those who think this trilogy has nothing to do with Diablo III because the Sin War happened 3,000 years ago, I will have to introduce you Mr. T’s “[smackdown] I pity ya’ foo'” quote from an interview I held with Richard A. Knaak in a public IRC Q&A I organized on January 20, 2008, to change your mind. This was the first time the development of Diablo III was hinted. Blizzard officially announced Diablo III development at the Blizzard Worldwide Invitationals (Paris) on June 28, 2008. This far back, Knaak revealed the ramifications of Diablo: The Sin War Trilogy lore would shape up the Diablo III storyline. In what ways, that’s still to be seen. I do have a feeling with the image of Ureh in the cinematics, players will find out a lot of lore from the necromancers. It’s never said Meldeln or Rathma died. It’s possible Drag’Oul might appear in-game at some point (expansions in mind). Lilith might still be around after the Pandemonium event. Inarius — the archangel who created Sanctuary — is known to be prisoner somewhere in the Burning Hells. The name of the Archangels of the High Heavens’ Angiris Council: Imperius, Auriel, Malthael, Tyrael, and Itherael. There’s plenty of lore in this Diablo: The Sin War Archive [to be of interest to fans who haven’t read it] that might influence the Diablo III storyline. The first sign of how this novel trilogy has influenced Diablo III storyline comes in the shape of the Nephalem Cube. 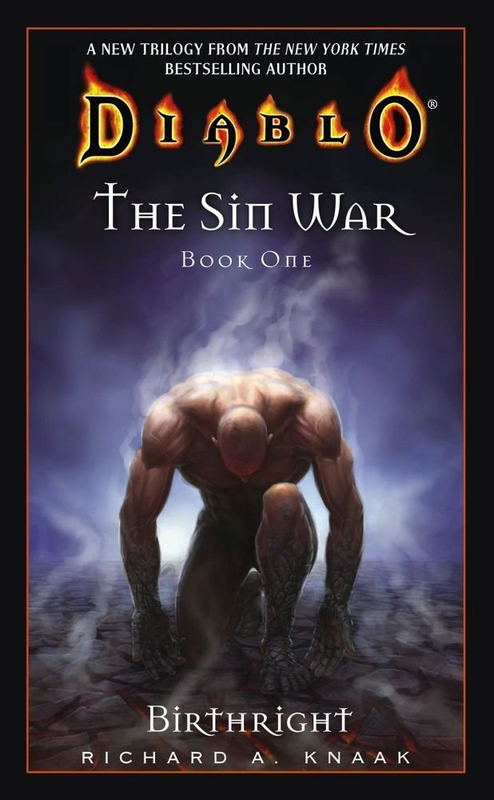 The term comes from the Diablo: The Sin War trilogy. The nephalem are the children of the renegade angels and demon led by Archangel Inarius and Mephisto’s daughter: Lilith. The Ancients are the first of these children, and the residents of Sanctuary are their descendants. I have no doubt we will see some juicy plots show up throughout Diablo III and its expansions straight from this novel trilogy. Mark my words. I will report the pre-order link once it becomes available. Hopefully, it contains some extras as a bonus (i.e. exclusive artwork).